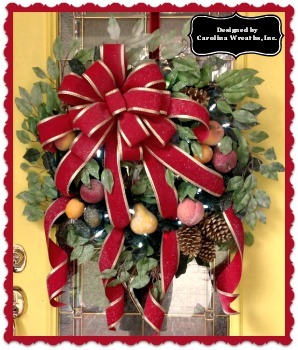 Beautiful "Williamsburg Welcome" Christmas Wreath. Measures 36+ inches tip to tip. Designed on Artificial Pine Wreath with over 180 tips. 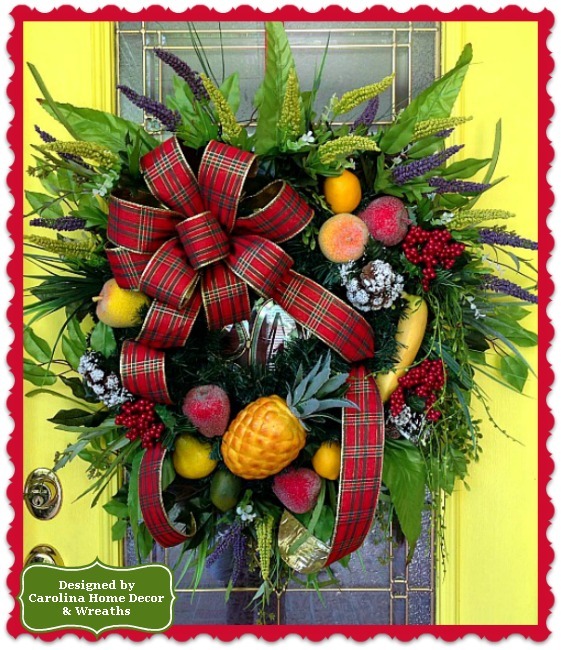 Features Large Bow in Traditional Christmas Plaid. Adorned with Various Fruits including a Pineapple (Symbol of Welcome), Banana, Iced Red and Green Apples, Lemons, and Lime. Accented with Snowy Pinecones and Red Hollyberries. 8-10 different styles of Greenery used. Available for Immediate Shipment!